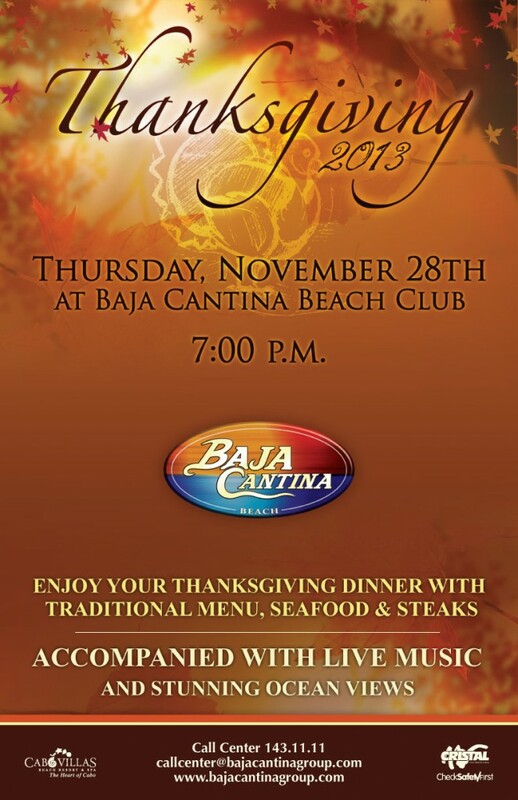 Thanksgiving dinner 2013 at Baja Cantina buy Beach, Playa el Médano, Cabo San Lucas. Served with mashed potatoes, glazed carrots, green beens, apple stuffing and cranberry jam. 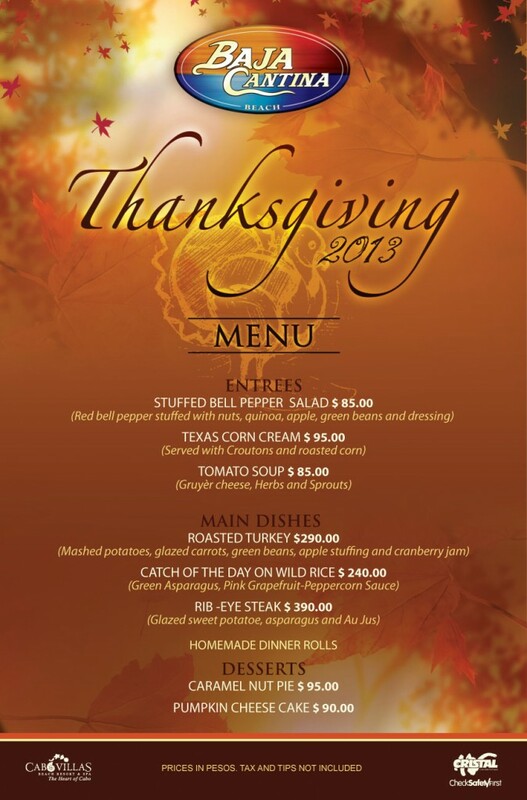 This entry was posted in Los Cabos Restaurants Events, Thanksgiving on November 8, 2013 by admin.